The China closed qualifier will be held September 18–20. 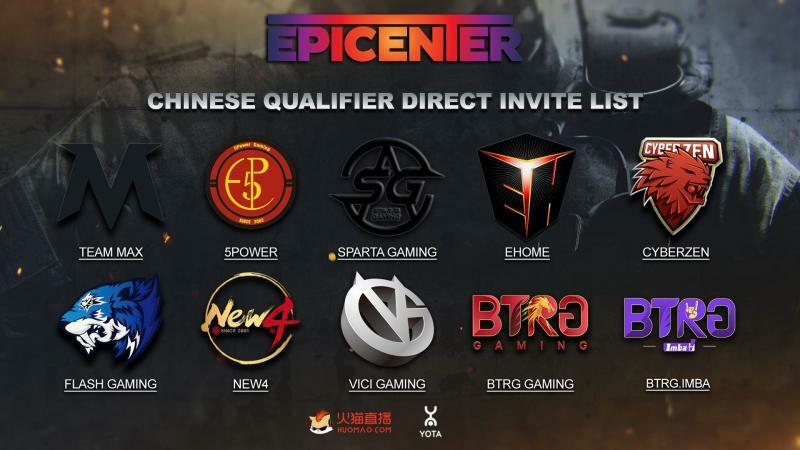 Out of the eight competing teams, only one will get to play the EPICENTER LAN qualifier in Moscow. As a reminder, the best-ranked team out of the four regional qualifier winners will advance directly to the group stage, as will Virtus.pro, who have received a Wild Card invite. The remaining teams will play each other for two more spots on the first tournament day. Ence and Swole Patrol are the respective winners of the Europe and America qualifier. Details on the CIS qualifier will be announced later.